They say a picture is worth a thousand words, so get ready for a few thousand. 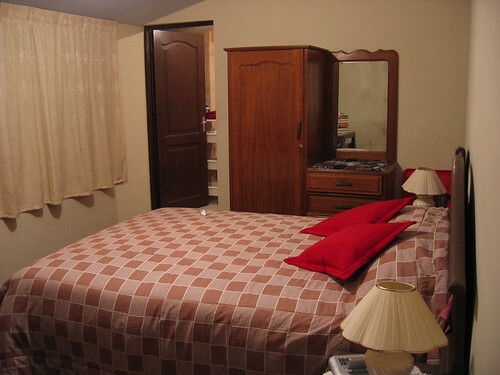 Here are a few snapshots of my home in Cochabamba. Welcome to the Roman’s apartment. 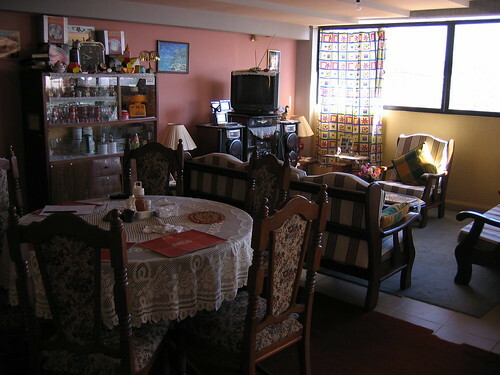 This is the living room where we eat all our meals, watch TV, and relax. This is my room. The Romans gave me a very nice place to live for the next few months. Here is the bathroom. 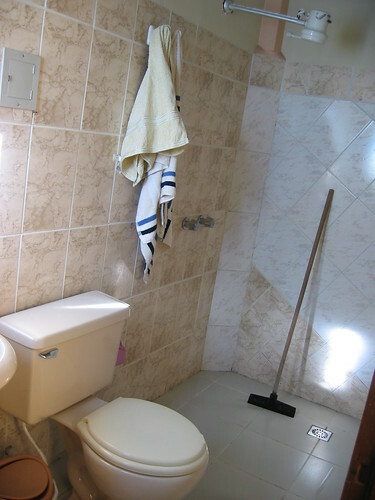 I took a picture because the setup is the norm here in Bolivia, but unusual for the U.S. You can see that the shower (the rod in the top of the picture) is just another part of the room. When you are done showering, you use the squegee to sweep the water from the floor into the drain. And last, but most definitely not least, is the view from my bedroom window. 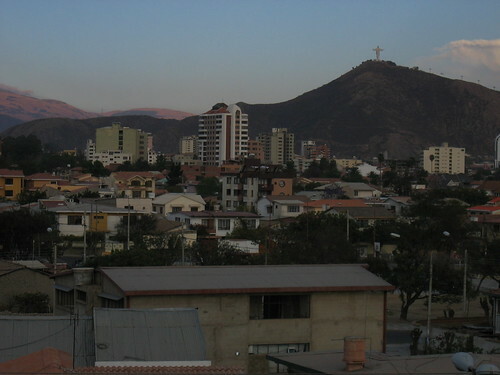 This is the city of Cochabamba in its evening glory. On the far hilltop, you can see the statue Cristo de la Concordia (harmony). This statue looks out over the city, and I am told, is a few centimeters taller than its famous cousin in Rio de Janero, Brazil. As usual, if you want to see more pictures, you can check out my photos on Flickr.